The original wine packaging is a perfect accompaniment to a barbeque or dinner party. 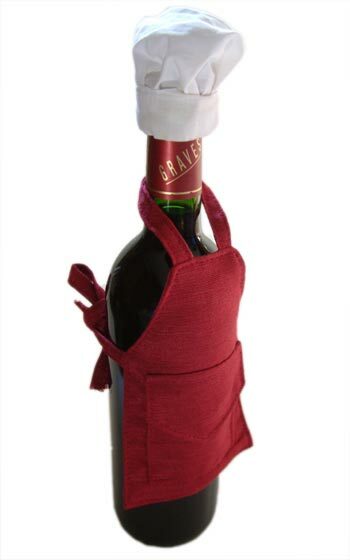 You can put the wine bottle apron on a wine bottle an oil bottle for a beautiful packaging. It has a handy front pocket so you can add a card, business card or other small gift. It is available in our seven standard colors and is made from raw silk. Try it out with our chef's hat (item no. 420). Minimum order is 10 pieces per color.